Another cushion and this time it's round. I've actually made a couple of these now; they're so relaxing and rhythmic to crochet. It's just my favourite half trebles (half doubles US), joined at the end of each round by a slip stitch. Of course, if you slightly stagger where you join your rounds and/or new colours, there is much less of a visible 'seam' but I don't think it detracts at all when the cushion is just one colour. I'm still having a love affair with the Rooster Almerino yarns - here I used glace, strawberry cream and gooseberry dk. Even the names of the colours are a joy! Oh, and an adorable Attic 24 may rose and leaf again. Naturally. Edited to add : pattern now here! Oooh, yummy! 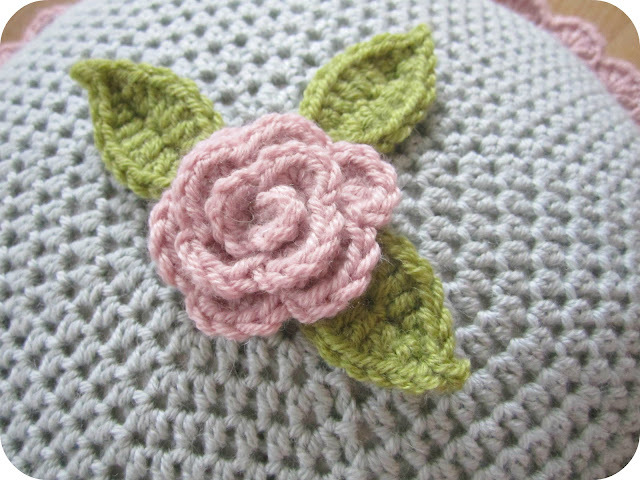 I made one of those cushions a few years ago but have gone off the colours a bit now. Might have to rectify that. I haven't tried the Rooster Almerino but keep seeing it recommended for lots of patterns so will have a scoot about for it. Ahhhhh.....sigh......mmmmmmm!!!!! I LOVE, LOVE, LOVE it!!! Very nice! And you definitely can't even tell where the "seam" is. 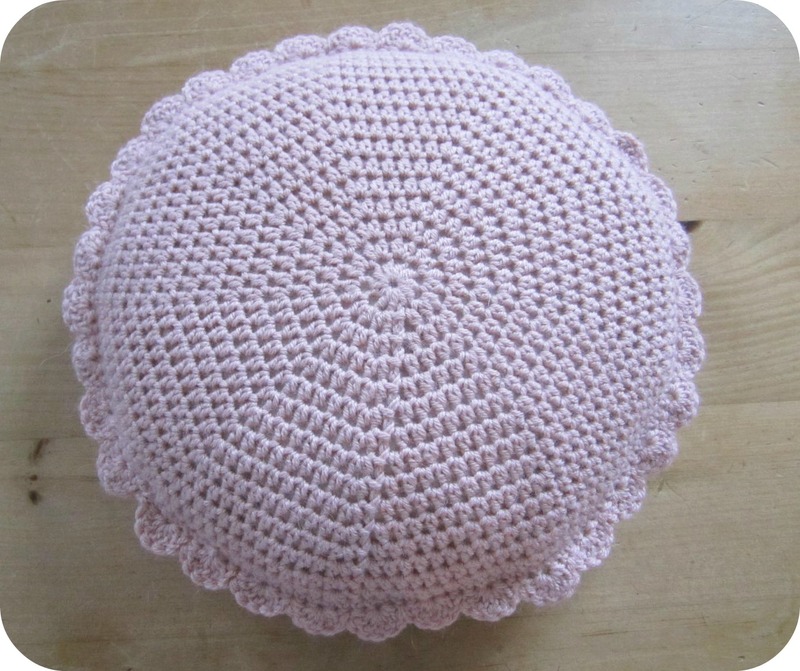 I must make a round cushion one day! Oh Heather, this is gorgeous! Those colours are perfect. Where do you buy your yarn, online? We have a hobbycraft near us but the selection isn't always great. Love your cushion Heather. The colours are perfect. and the rose is the finishing touch. 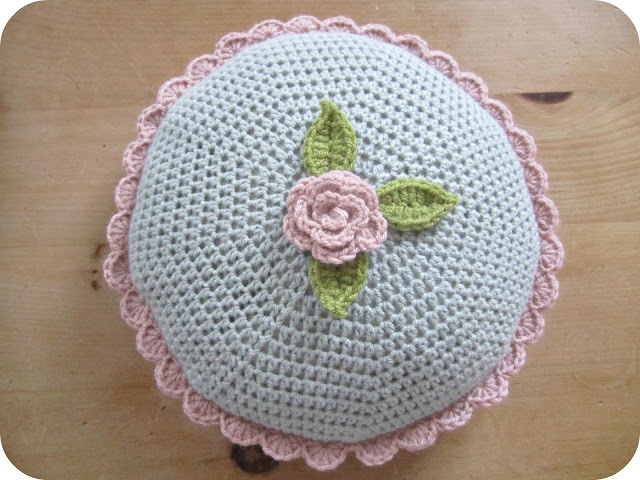 Hi Heather , love your round cushion....it's so pretty. That stitch is my fave ....grows quicker than a single but more solid than a double ( treble ). You make it sound very easy but it also looks like a lot of counting to me and your joins are so neat. Very beautiful, I absolutely love the colors! 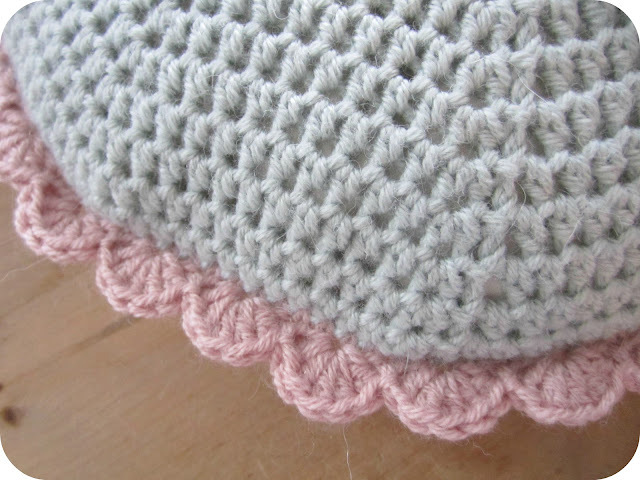 I just adore your sweet cushion, Heather! 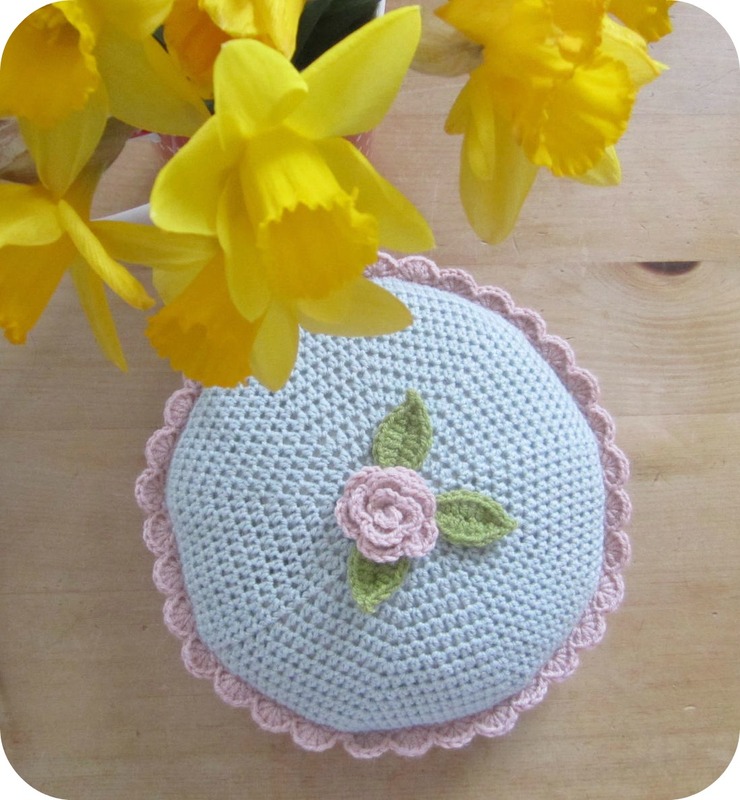 The design and colours are so pretty, and your crochet is so perfect! Verrrrry very pretty, unlike you, ya big old munter! How are you, my bird? Are you enjoying being back in the land of blog? Hope you have a lovely day today, it's grey and dreary here so I'll be popping on some cheery tunes and lighting some candles. That's absolutely gorgeous.I would never have put myself down as a fan of baby blue, but that's just lovely. That's gorgeous Heather, and the colours are as delicious as they sound!